Mouse anti Human CD122 recognizes CD122 also known as IL-2 receptor beta chain. CD122 is a 70-75 kDa transmembrane protein and member of of the Ig superfamily. CD122 is primarily expressed by NK cells and but also by certain subsets of T cells. CD122 dimerises with either CD132 or CD25 to form IL-2 receptors. Activation of the IL-2 receptor induces signaling within MAPK, PI3K and JAK-STAT pathways. Spleen cells from immunized Balb/c mice were fused with cells from the murine SP2/0-Ag14 non-secreting myeloma. Store at +4oC. DO NOT FREEZE. This product should be stored undiluted. Should this product contain a precipitate we recommend microcentrifugation before use. This product should be stored undiluted. This product is photosensitive and should be protected from light. Should this product contain a precipitate we recommend microcentrifugation before use. Where this product has not been tested for use in a particular technique this does not necessarily exclude its use in such procedures. Suggested working dilutions are given as a guide only. It is recommended that the user titrates the product for use in their own system using appropriate negative/positive controls. Takeshita, T. et al. (1989) Monoclonal antibody defining a molecule possibly identical to the p75 subunit of interleukin 2 receptor. J Exp Med. 169 (4): 1323-32. Phillips, J.H. et al. (1989) Activation of natural killer cells via the p75 interleukin 2 receptor. J Exp Med. 170 (1): 291-6. Espinoza-delgado, I. et al. (1990) Expression and role of p75 interleukin 2 receptor on human monocytes. J Exp Med. 171 (5): 1821-6. Yagita, H. et al. (1989) Activation of peripheral blood T cells via the p75 interleukin 2 receptor. J Exp Med. 170 (4): 1445-50. Suzuki, J. et al.  (1989) IL-2 receptor subunit, p75: direct demonstration of its IL-2 binding ability by using a novel monoclonal antibody. Int Immunol. 1 (4): 373-7. Starkey, P.M. (1991) Expression on cells of early human pregnancy decidua, of the p75, IL-2 and p145, IL-4 receptor proteins. Trentin, L. et al. (1992) Expression and functional role of the p75 interleukin 2 receptor chain on leukemic hairy cells. Cancer Res. 52 (19): 5223-8.